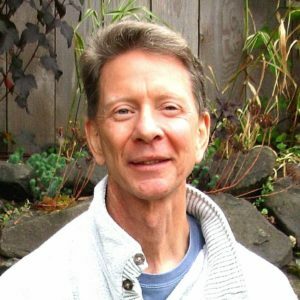 Daniel D. Britt, 71, loving partner, cousin, and friend, passed away March 22, 2019, in Lake Forest Park, WA, after an extended illness. He is survived by his long-time partner David McHargue of Shoreline, WA; cousin Donna Sinks of Spokane, WA; and close friend Mic Cook of Glenville, NC. Dan was born in Orlando, FL, and as an infant was adopted by Lora and Robert Britt of Delray Beach, FL. The Britts had two other sons, David and Mathis (both deceased). The Britts owned the Delray Beach News Journal. Dan attended Plumosa Elementary School and Delray Beach Junior High school. Prior to his sophomore year in high school, the family moved to Palatka, FL. His parents bought the Palatka Daily News, where Lora was the editor, and Robert served as city treasurer. In his youth Dan was active in dance (tap and ballet) and was a drum major in the band. Dan graduated from Palatka High School. After graduation Dan attended St. John’s River Community College, then the University of Florida, Gainesville, and obtained an Associate of Arts degree. From there he transferred to the University of South Florida in Tampa, graduating in 1969 with a Bachelor of Arts in Political Science. He attended Metropolitan State College in Denver, CO, studying computer science. He remained in Colorado and worked as a computer operator and programmer. Dan eventually moved to Seattle in 1981, continuing to work in computers. He then returned to school, earning an Associate of Science degree in Medical Laboratory Technology from Shoreline Community College, WA, graduating second in his class in 1992. For the next 20 years Dan worked in the lab at Northwest Hospital and was instrumental in getting SEIU 1199NW (union) voted in at the hospital. Dan retired in 2012. Dan is remembered as a loving person who cared deeply for his family and was especially attentive to his parents in their later years. Dan enjoyed yoga, hiking, backpacking, and skiing. His compassion, agreeable nature, affection for animals, and love of gardening are just a few traits for which he will be lovingly remembered. His cremains will be placed at the family property in North Carolina. Contributions can be made to the food pantry Bread of Life, 320 N. 5th St., Palatka, FL 32177. I will miss my loving cousin, Dan. It was a privilege to be at his side during his final days. My dance partner, my buddy in early childhood. Together we shared some special times and life long sweet memories.